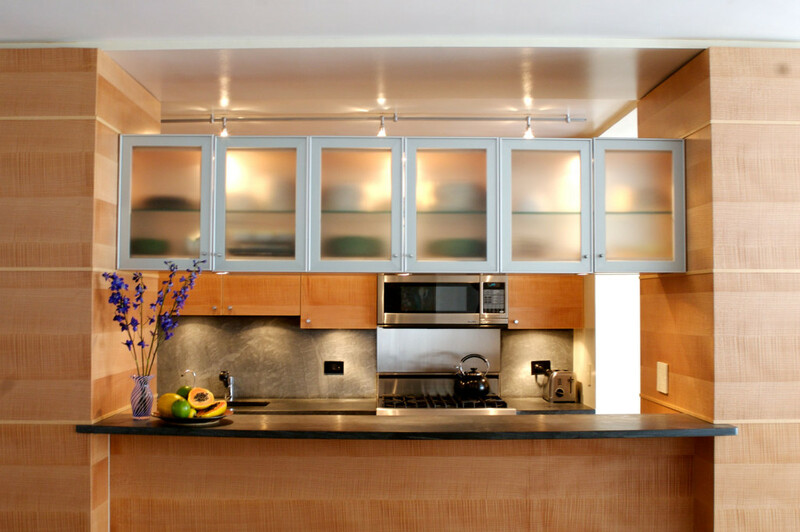 Simple moves created a downtown loft out of a dreary two bedroom postwar apartment. 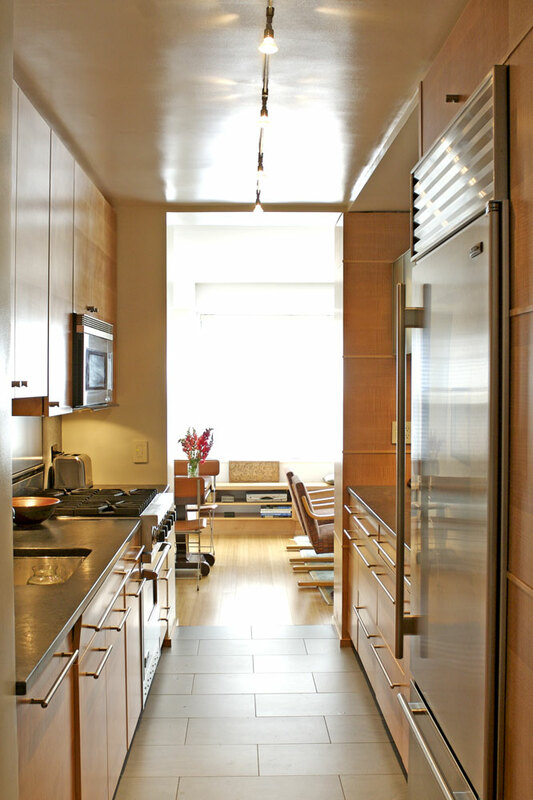 The expansive living spaces and a floating kitchen compensate for the low ceilings. 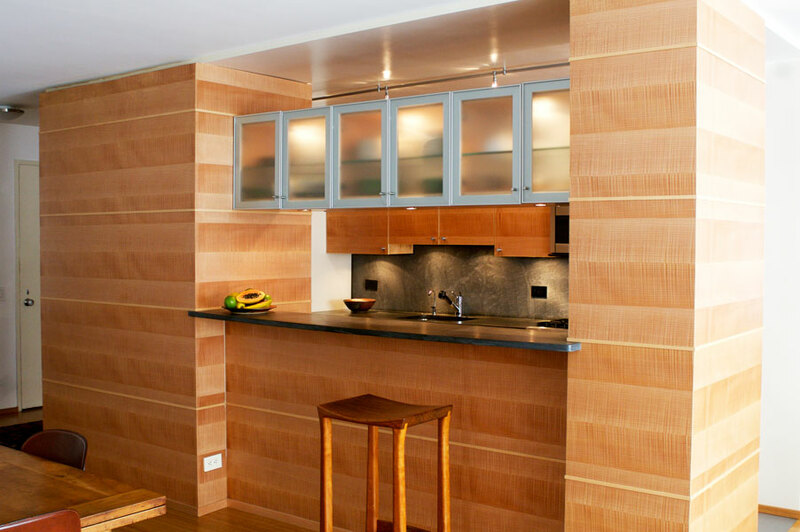 One wall of the kitchen, wrapped in curly maple veneer, floats – making the living/dining space feel wide and spacious. A second door was added to the second bedroom, mirroring the door to the terrace, so that this room becomes a swing space, part living room, part bedroom. 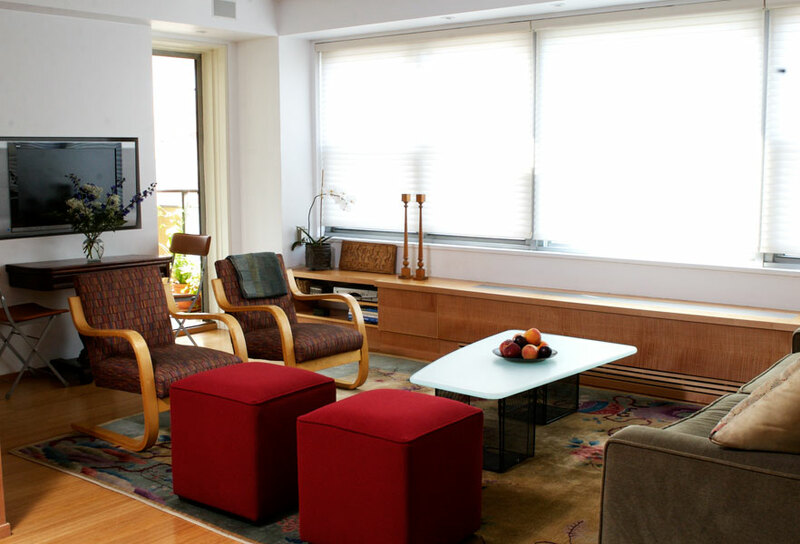 The TV is recessed into the wall to create a focal point for the living area. Air conditioning equipment was built into a window seat unit. 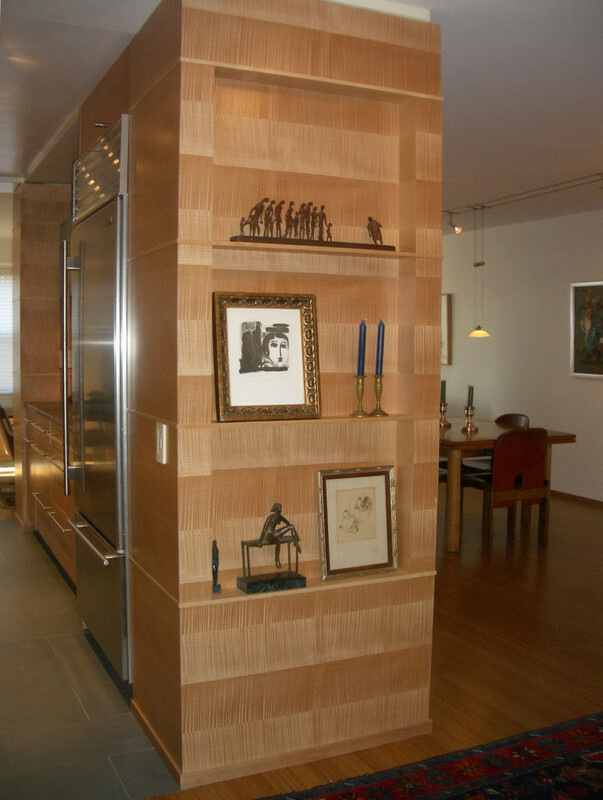 The new floors are bamboo and kitchen counters pietra cardoza limestone.